If you are a fan of sweet summer corn, this easy recipe for Fiesta Grilled Corn on the Cob is for you. 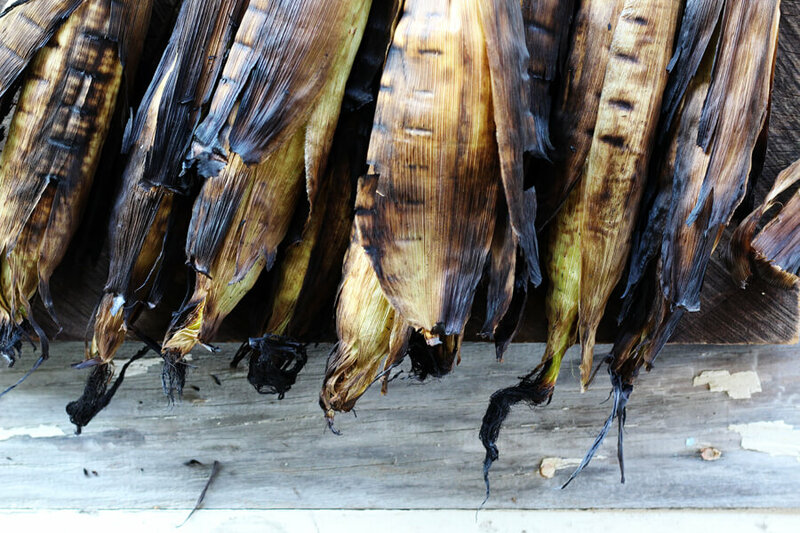 We started with fresh corn and grilled it right in the husk for that unforgettable smoked flavor. Then we lathered it with a spiced, buttery topping. And…then we put it over the top with a few more flavors you don’t want to miss. This is one of my favorite times of year. When the vegetables are fresh and so full of flavor. Sweet bell peppers, tangy Tennessee tomatoes, and of course, golden sweet corn. I think I could live on corn with buttery flavors alone, it is THAT good. Picking up the hot ears of corn that are still a little too hot to bite into and just going for it. 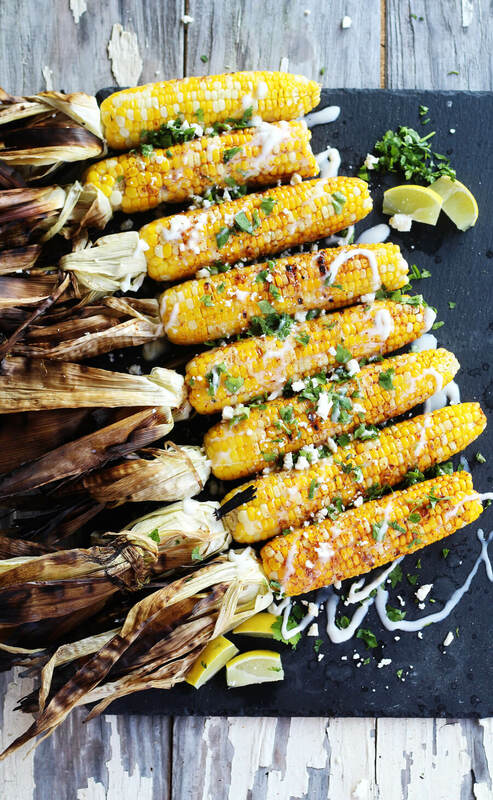 One of the tastiest ways to prepare corn is on the grill. There is something about grilled corn on the cob that reminds me of summer. The roasted smell and the perfect flavor…so good, ya’ll. 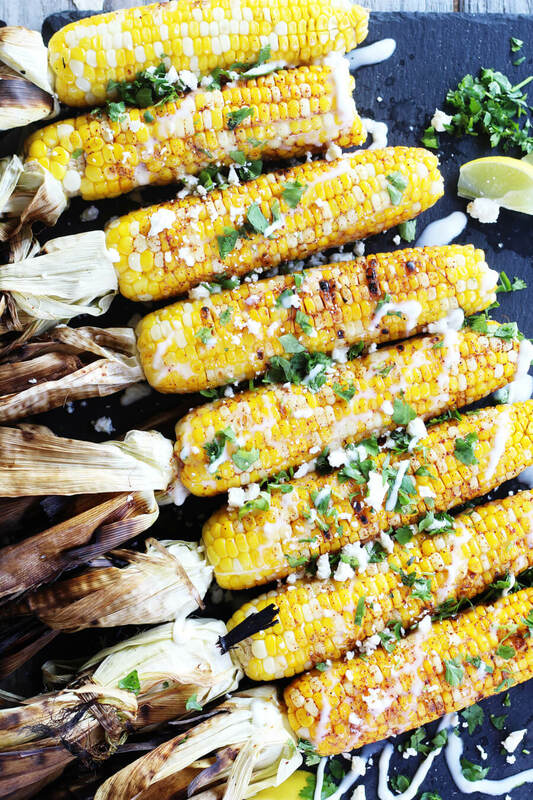 There are so many ways to grill corn, and everyone has their own method. I’m going to tell you about the way I do it. 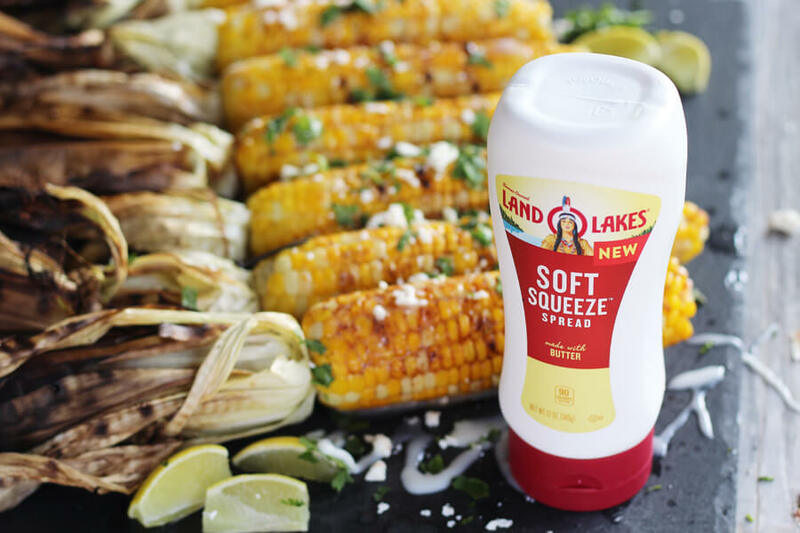 Also, check out our easy spicy buttery topping made with NEW Land O’Lakes® Soft Squeeze™ Spread. If you are camping or at a picnic, you can do this in a bucket or tub. Next, get that grill hot. I don’t think a specific temperature is that important, as long as the grill is medium hot. What do I mean by that? You don’t want it super low and you don’t want it super hot. 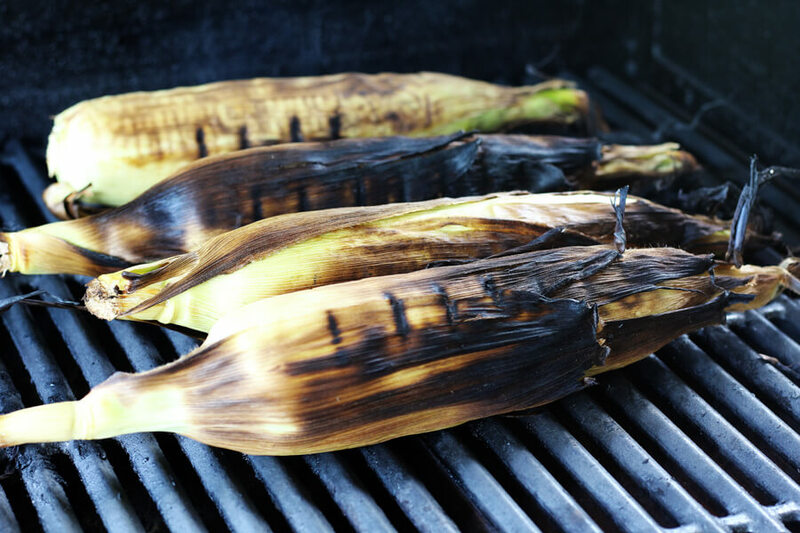 When working with a charcoal grill, I don’t recommend cooking right over a flame, so wait until the flame has died down a little or move the corn to the side. 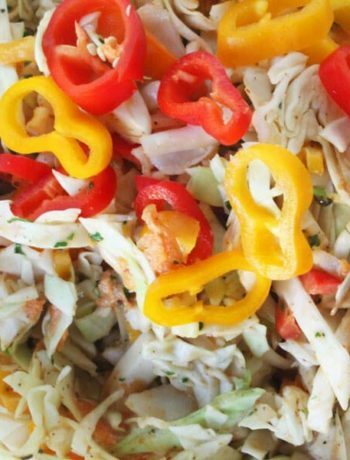 For this recipe, we used our gas infrared grill. Some of you may be wondering…what about those silks? Why didn’t you remove them? 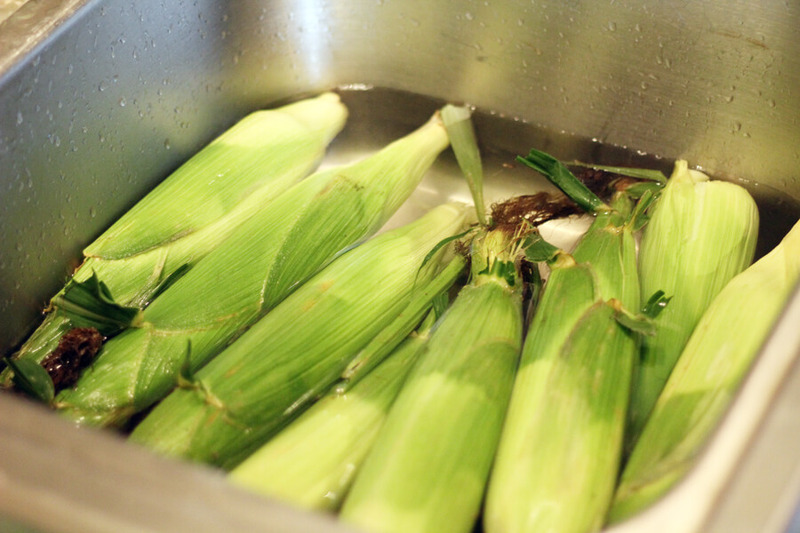 Yes, a lot of grilled corn on the cob recipes suggest you pull back the husks, remove the silks, and then put the husks back on. I’ll tell you why I don’t do it that way in just a minute. There’s a method to my madness. Now that you are started on the corn, all you have to do is turn it every few minutes to ensure all sides are brown. That’s it. Low maintenance corn. I like it. I promised you a buttery-spice topping, didn’t I? That’s where the NEW Land O’Lakes® Soft Squeeze™ Spread comes in. When Land O’Lakes asked me to create a recipe using their new buttery spread, I was thrilled. Ya’ll know I love anything that involves butter, and the spread is soft, squeezable and made with butter. This new spread is so easy to use and stays clean and crumb free. Easy Squeezy, right out of the bottle. Plus, Land O’Lakes is a Farmer-Owned Cooperative and believes in producing quality products from simple ingredients. Bonus: Kids love it. 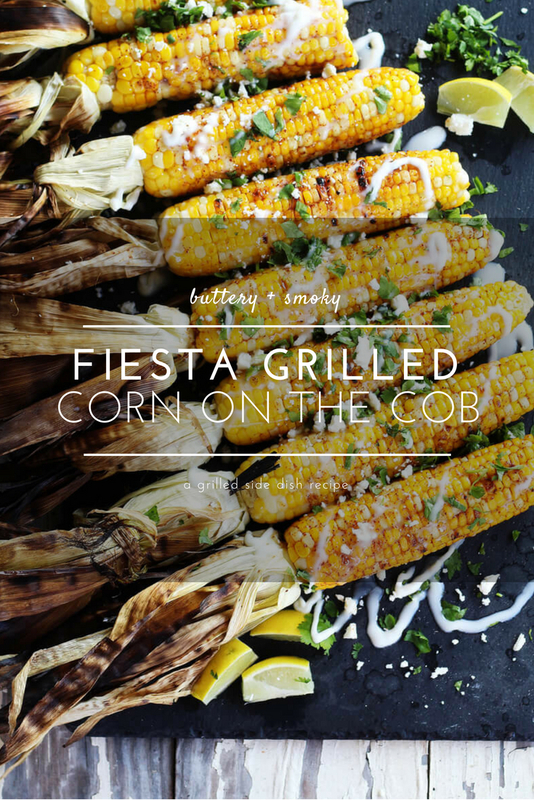 I love it on pancakes, muffins, veggies…and of course, this Fiesta Grilled Corn on the Cob. 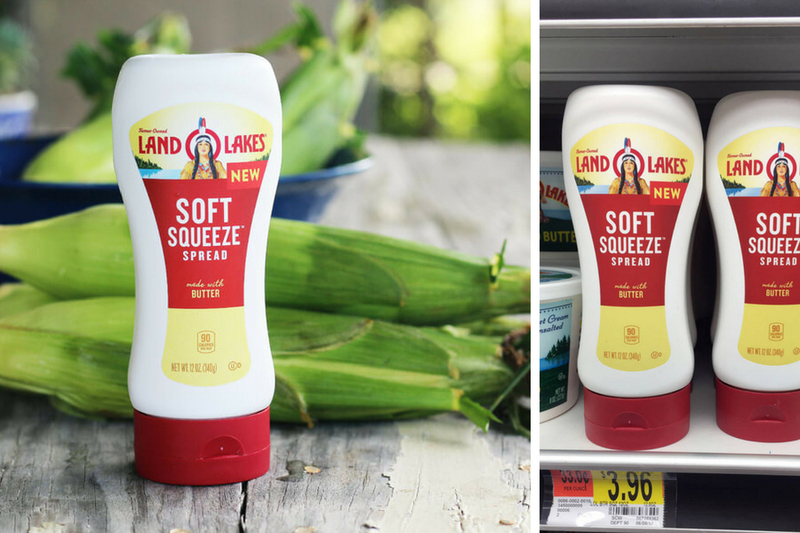 Get your coupon here to save $0.50 off ONE (1) Land O’Lakes® Soft Squeeze™ Spread. Offer expires 12/31/18. I grabbed mine at my local Walmart in the refrigerated section. 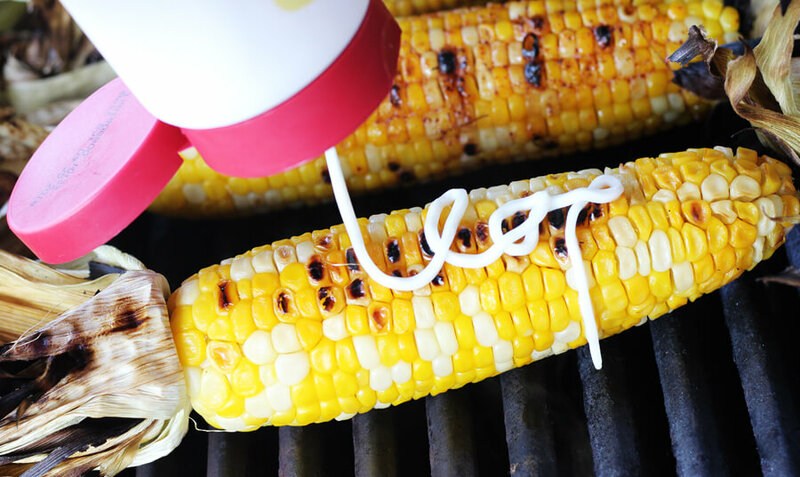 We use the squeeze butter in two ways for this corn recipe. 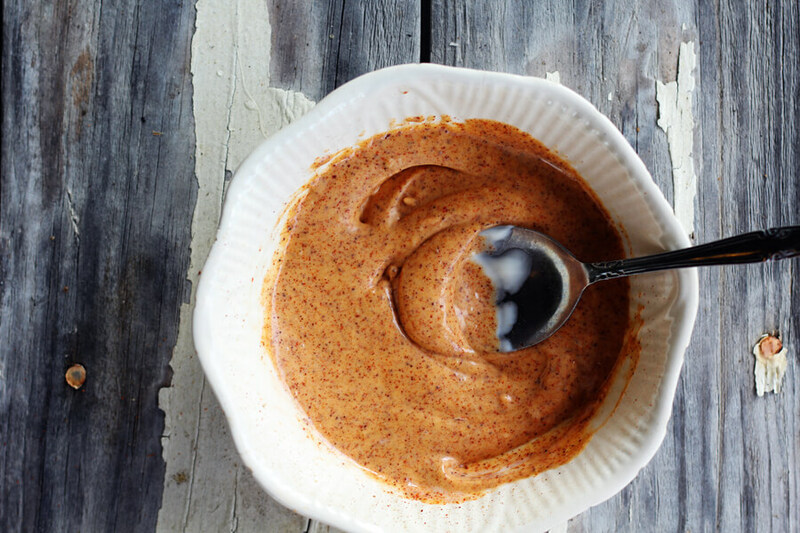 First, we create an easy spiced spread to put on the corn. Just squeeze about half a cup of the Land O’Lakes into a bowl. Stir in chili powder, a little cumin, garlic powder, salt and a pinch of cayenne. This smells amazing. Just wait until you spread it on the roasted corn. Remember those little silks we talked about earlier? Notice how most of them are gone? What’s left all sticks together and makes it easier to remove when you pull back the husk. Once the ears have cooled just a little, pull back the burnt husks. See how the silks just cling and stick to the husk? They slide right off. So much easier than trying to get them out before you grill. Once you have pulled back all of the husks, spread the spiced butter spread onto the corn on all sides. Put them back on the grill for just a minute or two to cook the spices into the corn, rotating to get all sides of the grilled corn on the cob. Looks fabulous. The blend of chili powder and spices with the buttery flavor of Land O’Lakes on the sweet corn is out of this world. And for those who want a plain piece of corn, you can do that, too! Just give them an extra squeeze. You can cut off all of the husks before serving if you’d like. However, I just tie mine back with a piece of husk and leave them on for the rustic presentation. 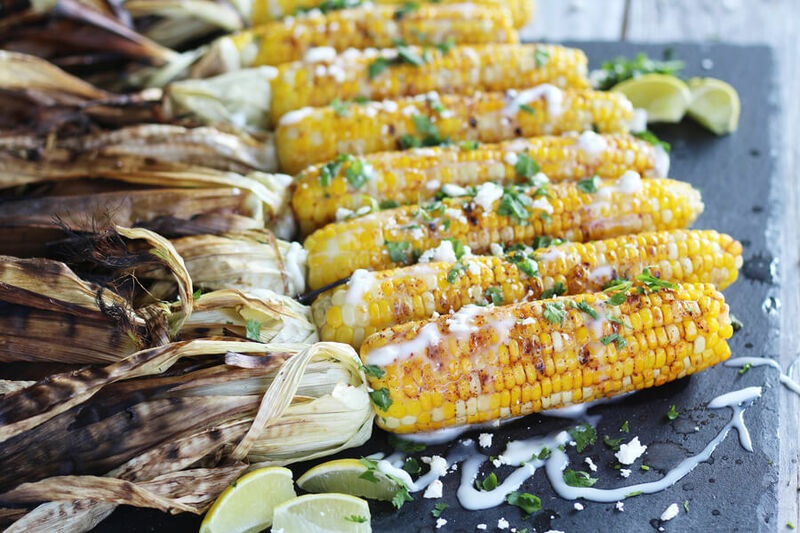 Before serving, arrange the Fiesta Grilled Corn on the Cob on a platter. Now time to have a party! Squeeze fresh lime juice over the top. Then sprinkle cotija cheese crumbles over the top. Add some fresh cilantro for a traditional flavor. And bring on the Soft Squeeze. 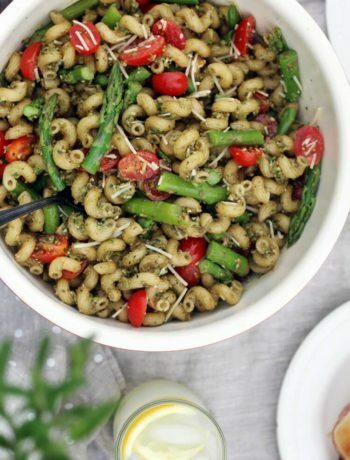 Such a simple but stunning recipe to serve at your next cook out. 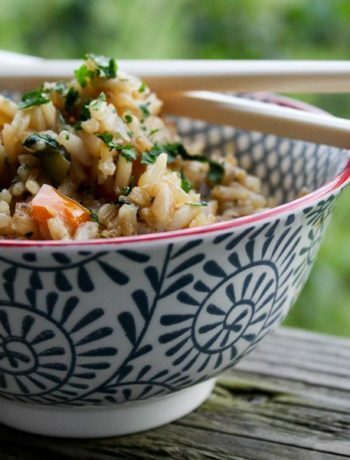 Everyone will be asking for your recipe…or begging you to make it again! 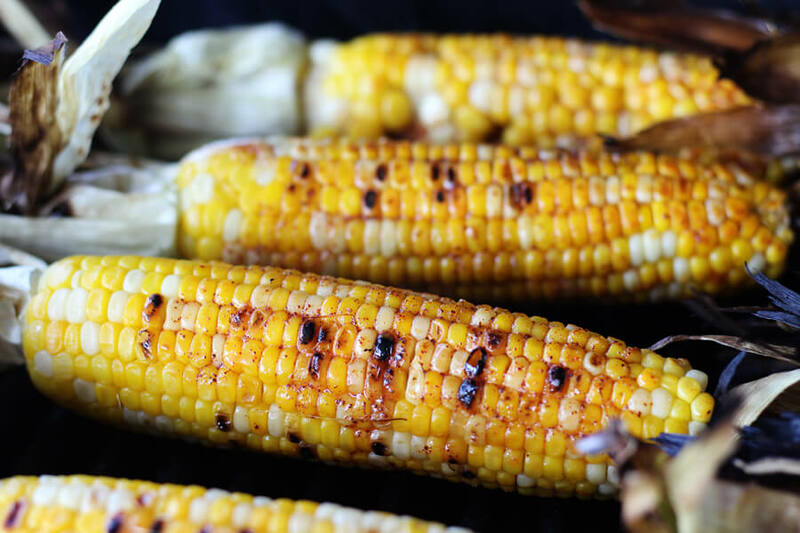 A simple, rustic recipe for buttery-spiced grilled corn on the cob. 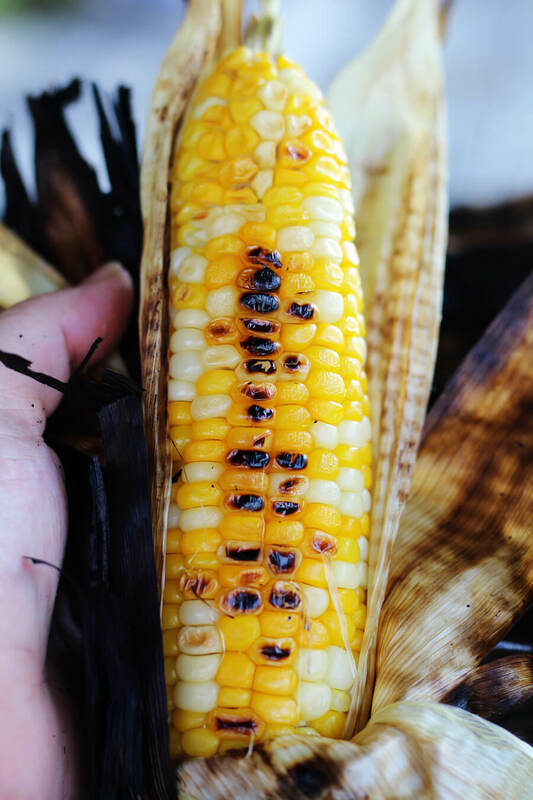 Prepared in the husk, this grilled corn recipe is perfect for cook-outs. Topped with fresh lime, cotija cheese, and cilantro for a Mexican-inspired flavor. Heat grill to medium high, around 400 degrees. 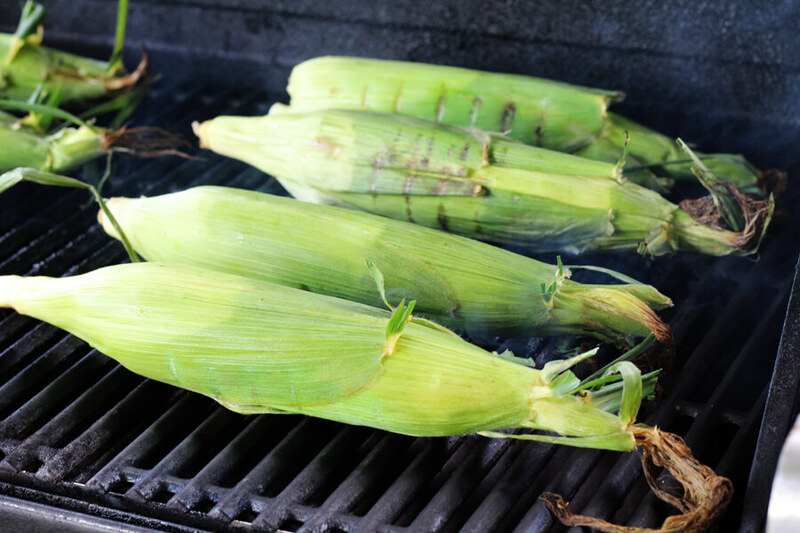 Place the corn in the husk directly onto the grill. Cook for about 20 minutes, turning every few minutes to brown all sides. While the corn is cooking, in a small bowl, stir together 1/2 cup of the squeeze spread, chili powder, cumin, garlic powder, salt and cayenne until well combined. Set aside. If you cannot find cotija cheese, you can substitute feta.